We said it in 2009, and we’ll repeat it in 2015: If you don’t like Westville, we can’t take this relationship any further. And we can’t just be friends, either. Westville is magic. It’s part of our DNA. We can’t live without it. Westville has been slinging vegetables since before it was cool to eat healthy. It isn’t fancy, it isn’t flashy, and it isn’t as on-trend as some of the other gluten-free, vegan, paleo action in town. But it’s the most consistent, and in our eyes, it’s the damn best. Westville is the ultimate utility spot that delivers the goods for breakfast, lunch, and dinner. There’s something for everyone here, and even though you’ll have to wait for a table during prime time, it’s always worth it. Most importantly, Westville runs the most efficient delivery operation in all of NYC. The fastest time ever, so far? Nine minutes, 45 seconds. Granted, my apartment is three blocks away, but still, that is FAST. So fast that you wonder if they actually cook the food to order, or just have teriyaki salmon dishes lined up ready to be grabbed and stuffed into perfectly packed, tightly-knotted plastic bags at a moment’s notice. We are New Yorkers, after all. We appreciate efficient use of time and value convenience more than most. It’s no wonder, then, that we appreciate Westville as much as we do. Westville’s salads are big and cut right to the point without getting too cute. You can add and subtract from the salad ingredients, and they don’t get pissed about it, which is always a plus. Definitely go with chicken over the steak as your protein. Favorites include: Westville Cobb, the Greek Salad, and a frequent lunch special, the Chopped Salad, which is a well-dressed, hearty mix of vegetables like cauliflower, kale, brussels sprouts, and broccoli. Get it with blackened chicken. Westville always has twenty plus options available on their “Market” menu. Pick four, and you’ve got one of the best vegetarian meals in town. Favorites include: Brussels Sprouts in Dijon, Soy-Glazed Tofu with Broccoli and Sesame Seeds, Sautéed Kale with Shallots, Mushrooms with Leeks, and, of course, their Sweet Potato Fries, which are ridiculous. The perfect mid-week dinner, it’s served in a light and tangy sauce, with two sides. Can’t go wrong. A permanent special, and one of our favorites dishes on the menu. The teriyaki sauce is addicting, and the one market side you get with it must be the garlic mash. All of the burgers are excellent. Be prepared to get a little messy. We love chicken salad and find a lot of places cut corners and don’t necessarily pay attention to the details that make chicken salad great. Not Westville. This is chicken salad done right. Shredded chicken with heavy doses of pepper, onions, celery, and lemon that make for a high-quality sandwich. Warning: it’s heavy on the onions. A new addition to the permanent menu and one we like a lot. The breaded white fish comes soaked in cole slaw and tartar sauce on a soft club roll. You want it. Just what the doctor ordered for Saturday morning hangovers. Westville does very well with their brunch. Pay attention to the specials, because those are usually where it’s at. Most restaurants only annotate wait times on a menu when something is going to take a while, like, over an hour and a half. Westville lets you know the french toast is going to take 15 minutes. That says it all. They want to make sure you’ll be OK with not getting your food in ten minutes. A local Infatuation mainstay, Esperanto’s got that little something special that that’s kept it in heavy rotation since before Ave. C was cool. 886 is a casual Taiwanese restaurant on St. Mark’s in the East Village. It’s good for a fun and affordable group dinner. Burger & Barrel makes some of the better burgers in NYC. Barbuto is a West Village institution that’s still a great place to eat some pasta outside. A love letter to Little Owl, sort of. A 24 hour French cafe that is good for everything from casual dinner with friends, to business lunch, to going face down in a burger at 3am. Chelsea, you lucky dog, congrats on getting your very own Westville location. 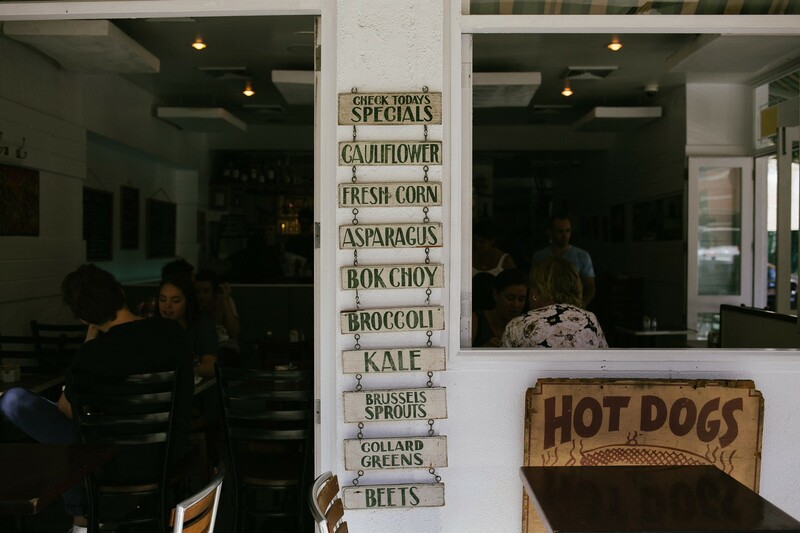 We love Westville – a well priced, one stop shop that’s equally reliable for breakfast, lunch, dinner and dessert. While many New Yorkers rely on coffee and Pret A Manger to get them through the day, Steinthal runs on a steady diet of cereal, water, and Westville. Welcome to the greatest Jewish thing to come out of Canada since Rick Moranis.